It is quite interesting to find many Indians in Australia. Immigrants are strongly attracted towards Australia for it booming economy and amazing lifestyle. It is one of the world’s most attractive and appeasing continents with so much to offer. The country is renowned for its pro-migrant attitude and sensational professional skills.A great number of Asians tend to migrate to Australia frequently. They are strongly inspired by the country’s classiness and profitable nature. With this being said, how will you get permanent residency in Australia? If you want to migrate to Australia from India, is the process easy? This is a question raised by many citizens and the next few lines will help you through. Australia considers Indians as amazing and skilled professionals who can help with economic development. On the other hand, Australia tops the list of most preferred countries for migration amongst Indians. Anyone who wishes to fine-tune their professional skills and lead a great life finds Australia interesting. 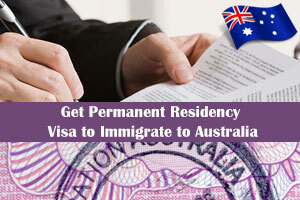 By default, Australian Permanent Residence is given to individuals who can stay in the country for a very long time. To obtain permanent residency, you are not expected to be a citizen of the country. Officially, the Department of Immigration and Border Protection comprises of many programs to decide if an application has to be approved or rejected. Indeed, these programs differ from one country to another. You will be permitted to Apply for Australian PR only if you have commendable character. People with felonies and charges will not be allowed to apply for PR. Moving on, you will have the freedom to study and work across the country. Also, you will have the authority to sponsor dear ones. Have you worked and lived in the country for 2 years. Have you scored well in selected exams like IELTS? Do you have a promising character? The entire process may range from 15 to 18 months. The actual duration depends on how great your profile is. To make things easier, it would be wise to approach a migration agent. For Getting Australia PR IELTS Exam is Mandatory?